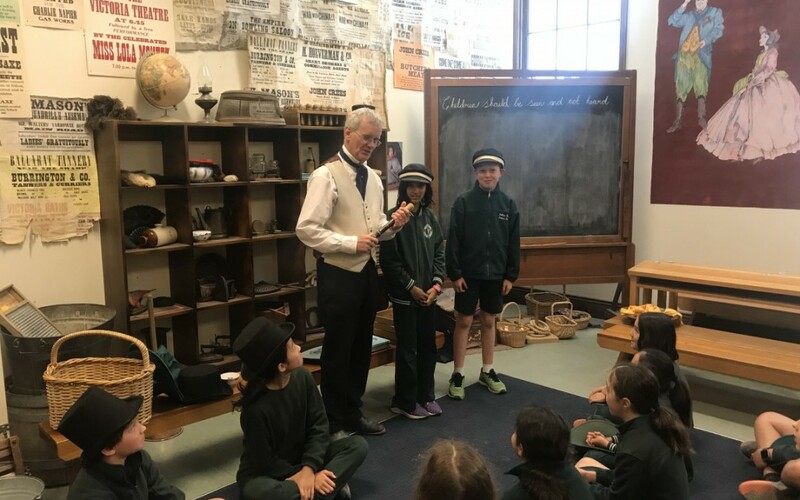 After having to postpone the Year 5 excursion to Sovereign Hill due to torrential rain the week before, the highly anticipated event went ahead in perfect conditions a full seven days after we were scheduled to leave. Despite this unprecedented event, the occasion was never in doubt and the children were never going to miss the opportunity to be transported back in time to 1800’s to see first-hand what life on the goldfields of Ballarat was like during this important era of our history. The education session involving Year 5 students taking on the role of miners, bankers and police officers was a highlight for the children. After also taking time to learn about how to smelt gold, tour a mine, buy lollies and pan for gold, we boarded the bus back to Oakleigh South all too soon, with some a little bit richer because of the gold they had found, and everybody a whole lot wiser about the history of Australia in the 1800’s. It was a fantastic day enjoyed by all!